During these school free months, many families often plan for a little bonding time otherwise know as the “family road trip”. This has traditionally been an appealing summer vacation option, because it’s easy to escape for a few days without burning up too many precious vacation days or breaking the bank. However, with gas prices still high and so many of us continuing to feel the pressure of the country’s ongoing economic woes, the once affordable road trip doesn’t necessarily feel so wallet friendly these days and many of us are left looking for ways to take road trips on a budget. Don’t let the chance to get away for a little fun and memory making go by the wayside because of money worries. There are plenty of ways to tune up the savings, even on historically budget friendly car travels. Before the rubber hits the road, make sure those tires are pumped up and that you’ve taken care of any routine maintenance like oil changes. These proactive steps will help you maximize your car’s gas mileage and will minimize your chances of unexpected repair expenses during the journey. Another way to lower fuel costs is to use cruise control on those longer traveling stretches. An added bonus to keeping your speed in check is a guarantee that you won’t be using the budget for your next great escape to pay off a ticket from this one. There’s an app for that: gas buddy is a handy free app for road trips on a budget that will help you find the cheapest gas prices around with a simple search by city or zip code. Additionally, if you report gas prices, you can earn points towards winning pre-paid gas cards and other prizes. with more than just road trip snacks and drinks and the extent of your savings may be surprising. It’s easy to throw in sandwich fixings and other simple meal makings that will help significantly reduce the number of meals you eat out. Although it might require investing in long lasting icepacks or a more heavy-duty camping/boating cooler that will keep your perishables intact for up to a week, the little extra up front will more than pay off over the long haul. Also, when choosing your accommodations consider staying someplace with a kitchen so you can prepare your own meals or where at least a free hot breakfast is included. There’s an app for that: At some point along your route, you will probably want to treat yourselves to one or two meal occasions at a restaurant. Use the free Out to Eat with Kids app to find the best dining deals using its searchable database that lists special promotions for kids by location and date. It also features restaurants participating in the National Restaurant Association’s Kids Live Well program, which offer healthy meal options for kids that meet national nutritional guidelines. One of the most affordable ways to sleep cheap is camping. You can check availability and make reservations at campsites across the country at reserveamerica.com. However, if you don’t already own all the gear or just aren’t the outdoorsy type, then this is probably not the best choice for you. For hotels, consider chains that offer many locations along your route and join their loyalty program. Rewards will often include free nights as well as other valuable discounts and freebies that you can use now or hold onto for future forays. Another riskier option is to wait until the night of your stay and then look for places that don’t’ have packed parking lots. When hotels have open rooms they know they can’t fill, they are usually willing to negotiate the nightly rate. There’s an app for that: Priceline’s negotiator app allows you to book hotel rooms on a moments notice and at steep discounts. There is both a “name your own price” function as well as “tonight only deals” that can save you between 40% and 70% on lodging at over 200,000 hotels around the country.
. Nature provides an abundance of great choices such as beaches, parks and historical landmarks. For other ideas, check the local newspaper’s website for a list of events happening during the time period you will be in town. It is not uncommon to find festivals, concerts and other entertainment for little or no cost. If there are museums or other attractions you want to visit, call ahead to see if and when they offer free admissions days (sometimes just for kids) or find out if you can save on the price of admission by buying tickets online. It also never hurts to stop by a city’s visitor center as they typically have coupons available and other helpful information. There’s an app for that: There used to be a great app called GOBY for both the iPhone and android, that was best in its class for finding fun wherever the road takes you. There were more than 350 categories to choose from including events, art & culture, family fun and health and fitness that could all be searched based on location, date and even price. It appears that GOBY has recently merged with a company called scout.me and while the service is still available on the scout.me website it does not look like it’s been incorporated into their app yet. The app primarily focuses on traffic issues, which is still handy in its own way. I expect in time the old features of GOBY will be incorporated into the app, but in the meantime, you can use the website or else even consider pursuing the online pages of your destination’s local newspaper for some local fun ideas. Looking for other ways to save? You definitely don’t want to miss our What to Buy When series, which tells you what you can get the best deals on EVERY month of the year! Follow Sunshine and Hurricanes ‘s board Frugal Finds and Budgeting Wisdom on Pinterest. Well, one should Avoid Bottled Beverages and Pack a Picnic Lunch, the foremost thing Plan Your Trip In Advance, Scout Out Free Attractions, Pack Plenty of Free Entertainment etc. With these minimal things, you can save your money on a trip. Great info. Another idea for free activities is Geocaching.com. I love taking my grandsons on little mini-road trips and by using the “find caches nearby” feature we discover a lot of interesting places. Your website is great! We like to take road trips to the outskirts of the city to day camps – you get all the benefits of camping, but are back home in your own bed at night. It’s great for getting out into some fresh air for a change. Love these tips. I definitely agree that eating fast food constantly eats away at the budget quickly. Thanks for sharing! Love these tips. I am always looking for ways to save on travel because everything adds up really fast. Now I want to go on a roadtrip! Really good tips! Vacations can be very costly for sure. 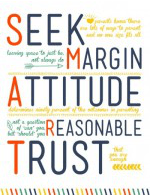 Great tips on saving where you can. We do all our road trip on a budget!! That is how we get to travel so much!! Great tips!! I didn’t realize that there are this many apps to help with road trips! 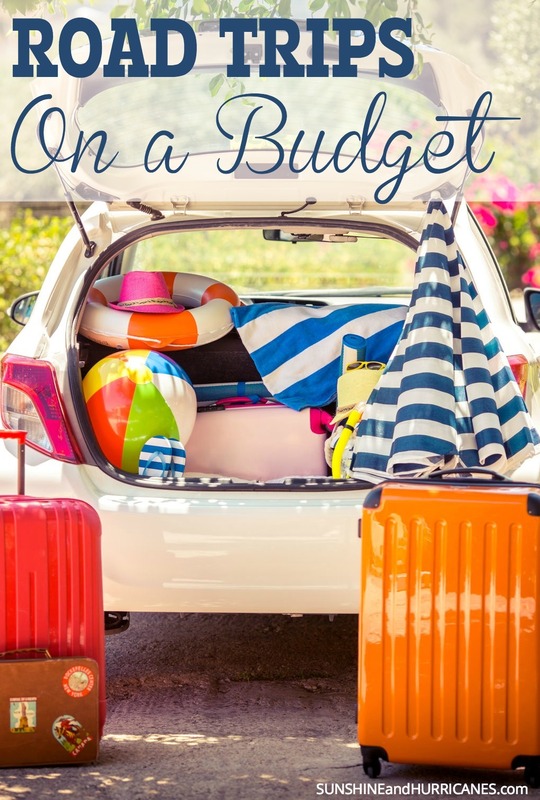 These are fabulous tips and tricks to save money while on that all important family road trip! Love it! All these are good tips provided by you I am sure these will help many of us saving a lot.Thanks for writing this wonderful post.